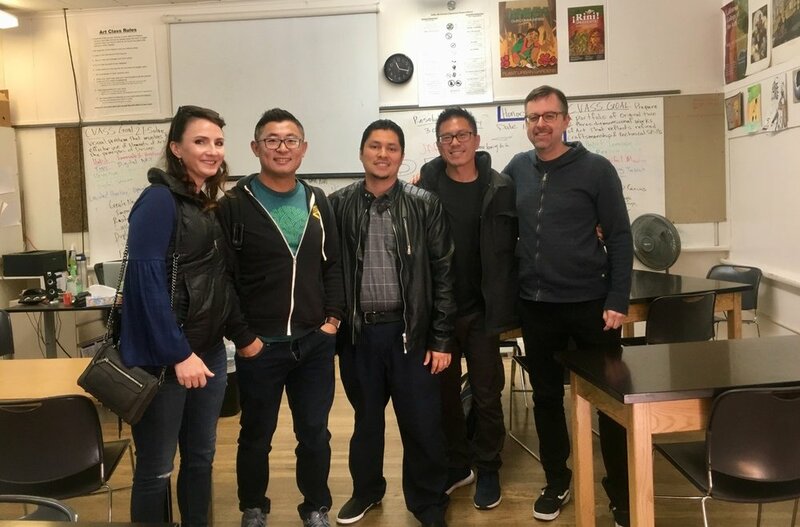 Last week, our CEO, James Zhang, was invited by our friends at Zynga - Allyn Bruty, Richard Fox and Andy Wang - to give a talk to the AP art students at Oakland’s Unity High. It was a great opportunity for us to give back to our community and reflect on how we got our start in the gaming industry. Talking to AP art students of Unity high school. Their teacher ‘Mr. Art’ in the foreground. Allyn showed her impressive animation reel from her days working as an animator at Sony, EA, LucasArts and now Zynga. Richard talked about his favorite gaming war stories making games like Crackdown and Frogger. 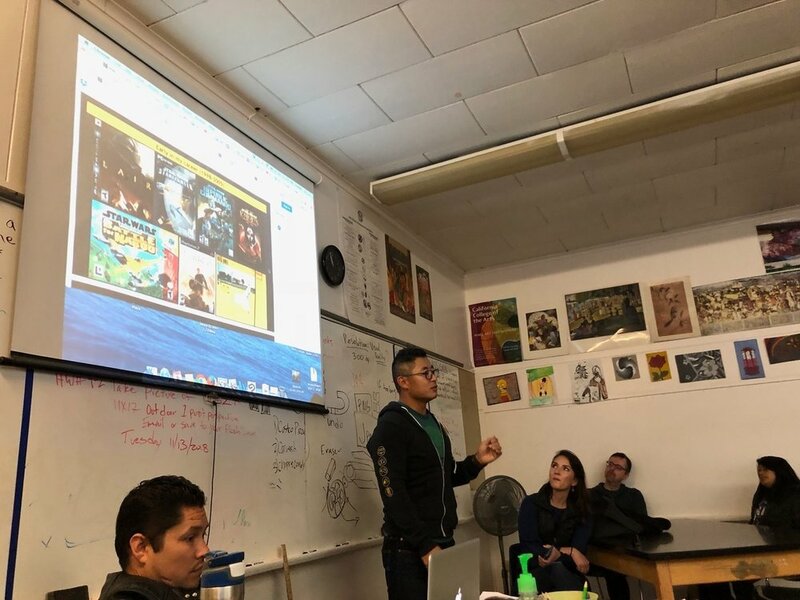 Andy Wang, who was once our art director at Concept Art House, shared with the students his path from being a Biology major to creating the look of CityVille at Zynga. James went way back to talk about his favorite art inspirations from when he was in high school. It was a nerd encyclopedia of 80s and 90s as shown in the pic below. James spoke about his passion for D&D, Marvel comics, Nintendo, and 80s cartoons which ignited his love for art and games. But it was his high school art teachers who challenged and encouraged him to go to art school and find success in the art field. Some of James’ favorite art inspirations during high school in late 80s and early 90s. Mr. Art’s students were attentive and engaged. They asked great questions around careers, passions, and to Allyn, “What is it like to work in games as a woman?”. To which Allyn responded by encouraging the students to lean in. We were all impressed by the passion of the next wave of young artists. The hope is that our talk in a small way inspires them in the ways that our own high school art teachers inspired us many years ago. Thank you again to Mr. Arturo Arechiga and Unity High of Oakland for giving us a chance to speak. We look forward to doing it again next year.